Once again, just about the time we think we understand how things work, it turns out that sometimes, never imagined subtleties crop up. I was driving to drop off a car for some suspension/tire work today, so, I had my clunker bike (Exotic Bicycles from the 1890’s to 2011) sticking partly out of the trunk, to ride home. Some cruising State Police (SSP) noticed this from a block away on a side street, and then slowly tracked me down – lights flashing “as usual” – in a Yucatecan-rewind of the OJ Chase. SSP – shaking his head -: “You are required to pull over when we turn on THESE lights.” – motioning to his partner in the car – they flip on brighter flashing lights on the outside edges of the light bar on top of the car. 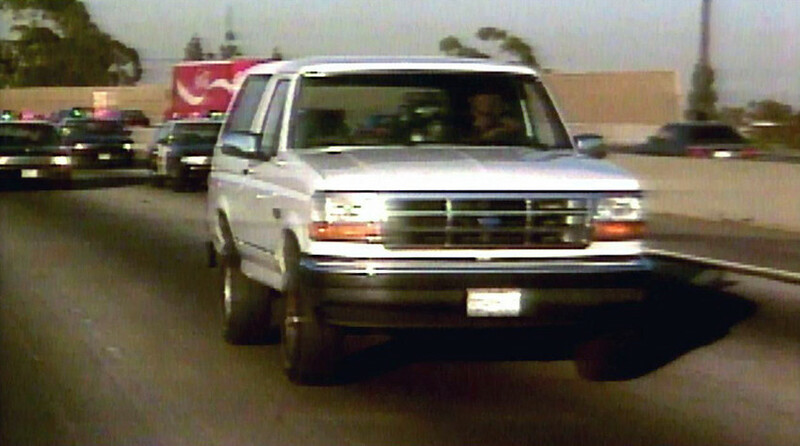 SSP: ““And when we are cruising, we turn on THESE lights.” – motioning to his partner in the car – they flip on more dim flashing lights in the center of the light bar on top of the car. Policeman adjusts his belt, hitches up his pants, thrusts out his chest, and strides boldly out of the suspension shop back to his car. … laughing just quietly enough that the police can’t hear them. I await the 2nd installment when DG rides the vintage bike to pick up the coche. Does he put the VB in the backseat hiding it with a blanket? or does he brave the streets with his wheel hanging out decorated with a blue bow like the Scotsman of the bawdy song? The much chagrined DG humbly waited for his wife to give him a ride to the shop ~ plus the late-afternoon heat has been beastly in Centro’s less-than-shady streets. I have been watching the police cars since yesterday, and OMG… The guys who are cruising actually do only use the dim center-of-the-bar flashing lights. So, when the suspension-shop boys talked about tonteria, they must have been talking about how it was ridiculous to expect a bike thief from far-off Francisco de Montejo (4 miles away??) 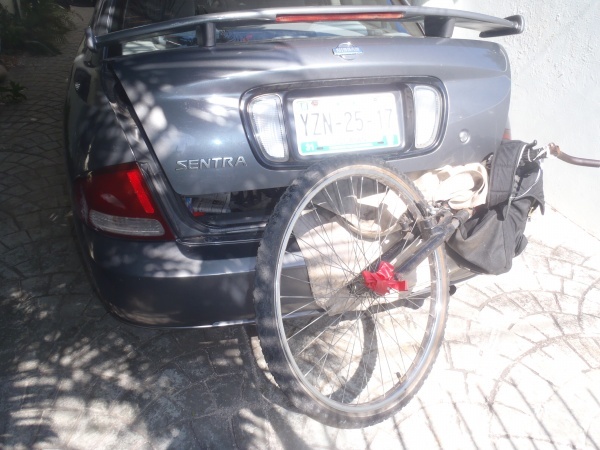 to still be carrying a stolen bike around Centro 3 hours later, clearly hanging out the back of a car trunk. How disturbing for you. I guess they had nothing better to do. Fortunately, our police are almost always friendly, so, it was not too stressful. When we expect no problems from police stops, (just oral warnings), it makes it easier. Also, I had pulled completely inside the building of the suspension shop. Being on private property also offers a measure of security. As a sidelight, in the same way the Mexican police legally cannot enter a suspect’s private home, the police also cannot enter a person’s car – so, if the driver stay’s put in the car, it means they’s have to call a wrecker to haul you and the car away. Still, our police are a gentle bunch here when dealing with routine traffic stops. As long you are not in an accident, if you reply politely and show respect, they treat both Yucatecans and expats very well. Accidents without representation by an insurance agent can become more complex.